Build recipes in a fun, flexible manner with basic ingredients and instructions to create customizable meals with this innovative tear-away pad. Based on the Food52 "Cook in the Blank" website feature, this reporter's style notepad with perforated, tear-out pages lets you create incredible meals based on adaptable instructions and just a few staple ingredients . Fill in the blanks with whatever you have in your kitchen, or let your imagination go wild and create unique dishes with unusual flavor combinations. The choice is yours! It's like Mad Libs for meal time. When you're done, you can tear the recipe out to save or send to friend. 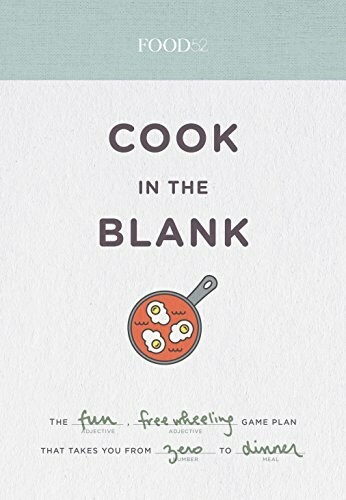 From pasta to chili to grain bowls, Food52 Cook in the Blank makes mealtime easy and makes every dish new and exciting. This is how you cook without a book.